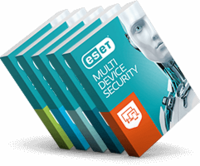 ESET has reached a monumental milestone in the security industry. ESET NOD32 is the first product to ever pass the magical threshold of 100 VB100 Awards received by a single product. The one hundredth VB100 Award was presented to ESET CEO, Richard Marko by John Hawes, Virus Bulletin’s Chief of Operations, at a ceremony on December 16th, 2016. Virus Bulletin, an independent testing organization, presented its first Virus Bulletin Award (VB100) in 1998 and to this day is considered to be the most renowned accolade in the industry. To earn an award, an anti-malware product must detect all current “in‐the‐wild” viruses without producing any false positives. With an unbroken record over 18 consecutive years, no other security product can claim to be the top performer by this independent testing and certification body. “Over this period, technology has changed, malware has changed and the security industry has seen changes as well. The only real constant has been that ESET's NOD32 is the only anti-malware solution worldwide, which has never missed a single “in-the-wild” worm or virus in testing since May 1998. That consistency is what gives our users trust in our technology and has enabled ESET to become one of the top security vendors in the world,” concluded ESET’s CEO. To learn more about ESET security solutions for home and business users, visit www.eset.com or to see the latest VB100 Comparative testing, visit www.virusbulletin.com. Virus Bulletin is an on-line security information portal and testing/certification body. With archives dating back to 1989 it provide a free invaluable resource of materials including specialized technical articles & comparative product testing. Virus Bulletin is supported by an Advisory Board comprising some of the world's leading anti-threat experts. www.virusbulletin.com.